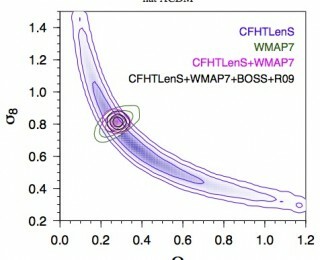 The Canada-France Hawaii Telescope weak gravitational lensing survey (CFHTLens), recently released new results to help constrain our cosmological models. While still in its early stages, weak lensing will ultimately be a powerful tool to discover the nature of the mysterious dark energy. 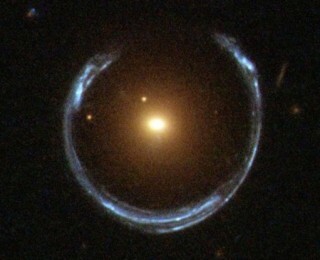 I recently attended a two-week crash course in the “Astrophysical Applications of Gravitational Lensing”. In this post, I overview a few of the ways astronomers employ lensing to study the Universe, from extrasolar planets to distant quasars and large-scale structure. Have major mergers lost their driver’s license? In this study, Kaviraj et al. 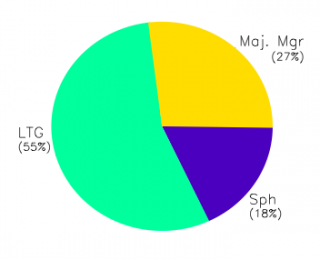 find that major mergers only contribute a small percentage (17-27%) of the total star formation at a redshift of 2, when the Universe was 3.3 billion years old and vigorously creating new stars. This goes against what we once thought, and leaves the door open for other mechanisms to drive the global star formation rate in the early Universe. In a recent paper, Stacy et al. reveal the detailed internal structure of the seeds of four of the first stars, and demonstrate for the first time that they are rapidly spinning throughout. Their results bring us one step closer to a coherent story of the lives and deaths of Population III stars. 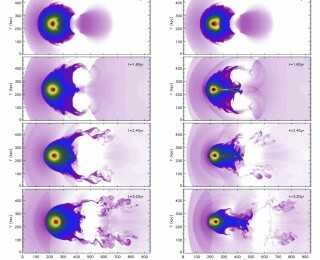 Most simulations to date have implied that satellite galaxies traveling through galaxy clusters are stripped of gas for future star formation in a process known as “strangulation”. 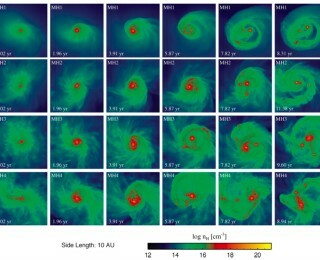 In contrast, the authors of this paper suggest that satellite galaxies may not be as cut off as some might think: instead, their simulations show that the cooler, stripped gas from the corona will mix with the surrounding intra-cluster medium and remain near the original galaxy as a potential new source of star-forming fuel.